The home of Hollywood has a team back in the Super Bowl. On Feb. 3, the Los Angeles Rams will face the New England Patriots in Atlanta for the Big Game: Super Bowl LIII. Stars from film, TV and music will be cheering on the Rams as an LA team returns to the Super Bowl for the first time in 39 years. Some of them have long cheered for the Rams before the team left for St. Louis in 1994, while there are also some that have become passionate fans since the team's return in 2016. 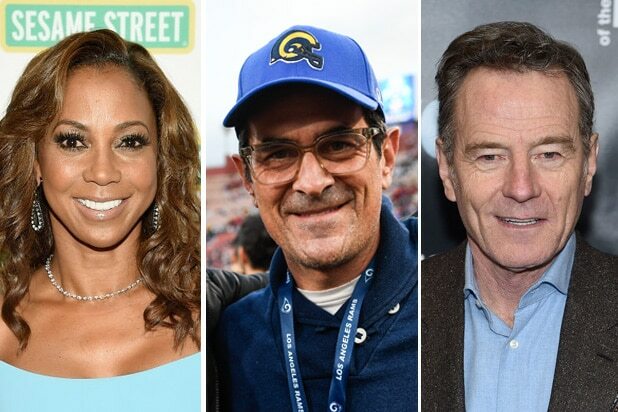 If you're backing the Rams, or cheering against the Patriots, here is a look at some of the Hollywood stars who will be cheering right along with you. No VIP pass required. 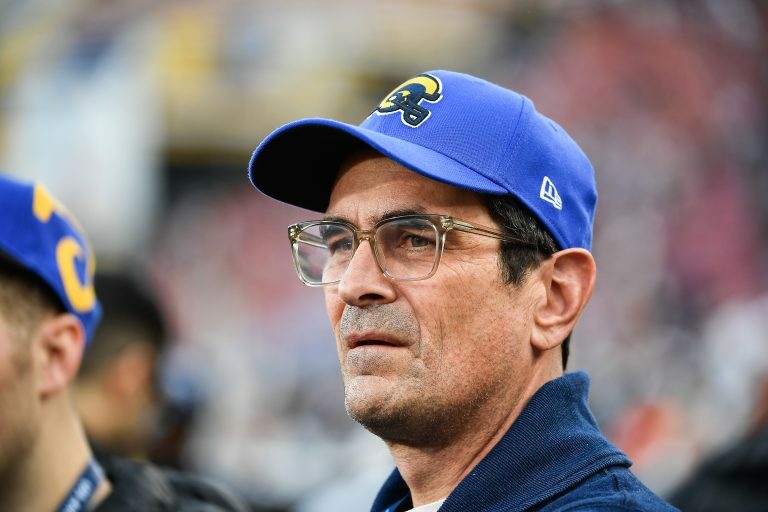 Ty Burrell Despite being born and raised in Oregon, the "Modern Family" star has long cheered for the Rams franchise. Burrell famously attended the Rams first game once the team returned to L.A. in 2016, just to leave at half time to rush to the Emmys. 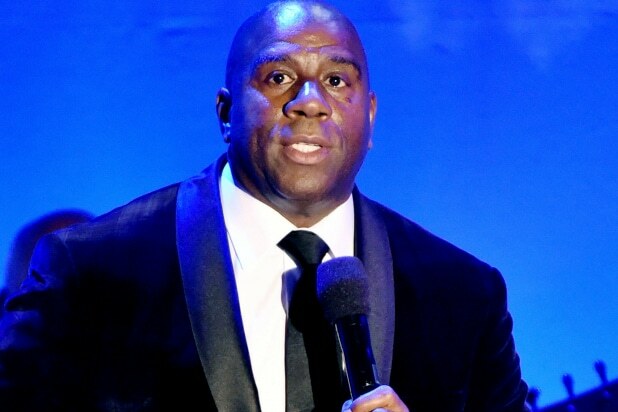 Magic Johnson The Lakers legend is a fan of all things Los Angeles, and that includes the Rams. When the Rams came over from St. Louis in 2016, Johnson became the first person to put his deposit down for season tickets, a fact the Rams confirmed on Twitter. Terry Crews Before making his way to Hollywood, the "Brooklyn 9-9" star began his career as a pro football player with the Rams back in 1991. Since he moved to acting, Crews has been seen cheering for the Rams from the stands. Bryan Cranston The "Breaking Bad" actor once loved watching the Rams growing up, but as he told NFL Network's "Good Morning Football" show in January 2018, he lost hope when the team moved to St. Louis. "It's like being dumped for another city!" Cranston said. But Cranston is back on the bandwagon. "I was a little stand off-ish at first, but they won me back," he added. Kendrick Lamar The Pulitzer-winning rapper not only performed at the Rams' home opener in 2018, but he was also seen running routes on the Rams practice field in 2016. Danny Trejo The "Machete" and "Spy Kids" star is such a big Rams fan, his Trejo's Coffee & Donuts in Hollywood has started to sell L.A.-Rams themed donuts. But the fandom doesn't stop there. Trejo went on the Rich Eisen Show last October, recounting his childhood sneaking into the Coliseum to watch the Rams in the '50s. Holly Robinson Peete Hallmark's "Meet the Peetes" actress showed her Rams fandom when she shared a video on Twitter celebrating the win over the New Orleans Saints in the NFC championship game. Oh, did we mention her brother-in-law is Rams running back coach Skip Peete? YG Rapper YG was seen watching the Rams game against the Cowboys Jan. 12 alongside Cowboys fan Post Malone. "WHO’S HOUSE? RAMS HOUSE!!!!" the Compton native tweeted January 2019. Adam Carolla The comedian and early podcast adopter is a Los Angeles native and an outspoken supporter of the team. "THE RAMS ARE GOING TO THE SUPERBOWL!" Carolla wrote in an Instagram caption January 2019. Taran Killam The Former "SNL" cast member has been following the Rams' path to the Super Bowl closely on social media. "I think we ain’t done yet. #WhoseHouse @RamsNFLHOUSE" the actor/comedian tweeted after the Rams beat the Saints in the NFC championship game January 2019. He's no Johnny-come lately either: In December 2016, Killam even appeared on "Late Night With Seth Myers" wearing a light-up Rams sweater. Nikki Sixx The Motley Crue bassist can often be found wearing a Rams hat on his social media channels, but he's also an avid watcher of the team as well. "Some great football on this weekend," Sixx wrote on an Instagram caption January 2019. "I got my practice amp fired up, a metronome and the TV on. #losangeles @rams #GoRams. #BassPlayer"
Flea The Red Hot Chili Peppers performed at the Rams halftime show during the first game of the Rams' 2016 season. If you have any doubts Flea just played for the money, he tweeted in September 2018, "I am a los Angeles rams man through and through..." Case closed. Vince Staples The Compton native worked with Nike in 2017 on the #WhoYouWith campaign. "I’m with the Los Angeles Rams. #WhoYouwith Nike Football #teamnike" the rapper's official Facebook page posted in September 2017. Robert Patrick You may have seen him try and defeat the Terminator as the shape-shifting T-1000, but the long-time actor has left that life behind to focus on bigger things: the Rams defeating the Patriots in the Super Bowl. "Bring on the @Patriots!!!! #win" he tweeted January 2018. Tom Morello The former Rage Against the Machine guitarist is now performing for the Atlas Underground, but one thing hasn't changed: He's a die-hard Rams fan. In January 2016, Morello posted a picture of himself on Instagram when he was only kid holding a Rams helmet. "Been a Rams fan my whole life," he wrote in the caption.